We are pleased to be co-hosting the 3rd WOOF blog hop along with Oz the Terrier and Roxy the Traveling Dog. WOOF (Working Out Our Fears) Support is where reactive dogs and their owners can come together to share similar experiences. Are you a reactive and/or fearful dog or its owner? Then please join us and share your story. The Blog Hop is open through Sunday. The theme for this month’s hop is “What I Love About My Reactive Dog”. Those of us with reactive dogs are often dealing with the fear, anxiety, and embarrassment of trying to keep them under control. I imagine there are people out there who might give up on a reactive dog and find a new home for them or even take them to a shelter. But those of us writing these posts, or those of you searching the internet for information on how to help your reactive dog, well, we wouldn’t dream of it. Why? Because we love our dogs so much that we will never give up on them no matter what. 1. Cricket is at most times the happiest little dog you will ever meet. When she is doing something she loves, her tail is constantly wagging a mile a minute. It makes me smile when I watch her out in the yard with her nose to the ground, tail wagging away, just happy to be there; or when she’s lying on the couch and my hubby or I approach her and her tail immediately starts wagging. 4. They might have their squabbles, but she loves her siblings. They all play and sleep together. She seemed subdued the day that Luke was at the vet getting neutered, and again when Sheba was at the groomer. 5. She is teaching her new little brother all kinds of things. Now that spring is here, the screen porch is being used a little bit again, and she is teaching Luke how to open the doors so they can go on and off the porch when they want. 6. Her beagle bark. All true beagle lovers adore the AROOOO of a hound dog! If she hears or sees something in the woods outside her yard, she is down at the fence letting everyone know! 7. Cricket is shy of strangers, but once she warms up to people she is just as loving with them as she is with us. 8. The way she loves the sunshine….she is just as much of a sun worshipper as I am. Actually, she just plain loves heat. She will lay in front of the woodstove in the winter until she is panting from the heat. 9. Her endless energy and enthusiasm for playing. She is like the energizer bunny sometimes when it comes to playing ball, and she throws herself into the game with all she’s got. It doesn’t matter what the season is; she loves to play in the snow, and she loves her pool when it gets warm. 10. She is a loving, affectionate girl who showers us with kisses on weekend mornings when we’re watching the news and having our coffee in bed. I have a short video here of her with my hubby, illustrating how she expresses her love for us. The quality isn’t the greatest, because this was taken over a year ago with my old phone. You’ll still get the idea. Join in!! What is one thing you love the most about your dog? If you have a reactive or fearful dog, please feel free to join our hop this time or in the future! It is held the 2nd Thursday of every month. You don’t have to be a blogger to benefit from this; we also have a Facebook support page which anyone can ask to join. There we also share tips and stories to help and support each other. Cricket has the prettiest smile and such happy eyes! Cricket is lovey and sweet indeed…we do love our babies even the stress head reactive pups have a gentle side and a sweetness that I to be loved 🙂 lovely video 🙂 Fozziemum Pee Ess I agree with the comment above about bony butts!! Thank you. They do all seem to have something very special about them, even if they do have issues. I know, bony butts…lol….goes along with their hard heads! Awwwww–that video made my day 😀 Cricket sounds like a wonderful dog. And when you say that you love her intensity even though it’s the cause of her reactiveness–I *so* get that. One of my dogs with the highest reactivity has this soft, helpless side to him; under stress, if barking doesn’t scare away whatever it is, his response is to sit on my foot (and who knew dogs had such bony butts? ouch!). I know it’s a bad thing; he’s not coping, he’s freaking out… but him sitting on my foot like that and looking up at me? Makes me feel ten feet tall. Thank you for coming by to visit us also, Guilie, and for joining the hop. I know, as much as we hate that they are freaking out and over-reacting to things, it warms us to know that they are turning to us for guidance and protection. And I think we give them that and it strengthens our relationship and bond. Good things do come out of bad most of the time. That’s a great list I can see there’s a lot of love there. Thank you, Sheba! There sure is. She’s a keeper forsure. Beautiful! I think most times people take the lazy way out and rehome the dogs because they are lazy and don’t want to work with them. Sad. Thanks for sharing the cricket love. That she is! I think you are right….people just want to bring a dog home and have it behave perfectly with no effort put into it on their part. It is sad. I really got lucky with those photos…normally they don’t cooperate that well. I actually think I was trying to get photos of Luke that time….which is probably why Cricket was cooperating….lol! Thanks! Our cats like her best too, because she’s not that much bigger than them, and only chases them occasionally! What a sweet list and no wonder you love her. Love the tail wag photo and the video…remind me of our Sally – she would do the same thing climb up on Steve and lay her head against his face. Sweet. There’s nothing better than a cuddly and affectionate dog! All of ours outgrew that to an extent, except for Cricket. “We love our dogs so much that we will never give up on them no matter what.” Yes! This! I forgot to mention THIS in my blog post today! I hope that Cricket does keep up her energy for her whole life. She and Kobi were opposite in those ways. Kobi would only give a kiss grudgingly (with the promise of supper), and he had no interest in playing once he got past about 4-5 years old. I love Phod’s gentle insistence that he needs to play fetch all the time. I love Hailey’s exuberance. Phod and Cricket would love each other! There is just nothing more heart warming than seeing dogs who enjoy life to the fullest. I love how easy it is for all the WOOF hoppers to come up with things we love about our reactive dogs. Cricket is obviously a terrific dog! I love, love, love beagles!! Look at that face and that happy tail, she’s a great dog!! I looked at beagle puppies before we got Sampson (also before I knew about puppy mills and pet stores.) I’ve often thought about fostering for the Beagle Freedom rescue. Oh, that would be wonderful, wouldn’t it? That is one of my favorite groups. What a great list of thing you love about Cricket! 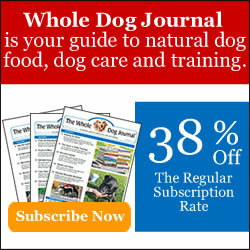 I think this is a great topic for WOOF support. I will be linking up on Sunday with you guys. I think it’s important to remember the things we love about our reactive dogs, and I think it’s sad that so many people do just give up and dump the dog for a next one. Nobody is pawfect, and our dogs are included in that. Great post! That’s right, I think some people forget that dogs all have individual personalities too and they are not all perfect. I’m looking forward to your post! That’s great. What cutie too. Torrey has that same intensity to toys or treats too. I had never put that together with the reactivity. I just think it’s a matter of they are so focused on what they are doing, that some other things startle them into over-reacting because they are so tightly wound. Great post! Thank you for co-hosting the hop! It is so true, we all love our dogs so much, we would do anything for them – even re-training ourselves to help them be better dogs. I don’t know how anyone could resist Cricket’s sweet face…OMD, what a cutie. Thanks, Gina and Oz! Once again, I think the hop has had a good turnout….thanks for hosting and I’m happy to co-host! We would do anything for our dogs, wouldn’t we? They help us grow and learn too. Great list and wonderful pictures. Thanks, Sheryl! I’m pretty sure you’ve been on the receiving end of some of that loving too! Cricket looks like a super fun dog, lots of love and energy. With Bailie and I her very favorite thing is that we love to hug. We were not taught to hug, we did it on our own and we love it. When Mom needs to stop, if we are not done hugging we grab tighter which just makes Mom melt and she can’t get up! Oh, I love the hugging! That would melt me too, you girls are so sweet. Cricket would be happy to share some sun with Wilhelm! It really seems true that their intensity leads to the reactivity, with Cricket she is just so focused on walking that she doesn’t even relax and enjoy herself….so anything that tries to break that focus startles her and she reacts. Thank you! There’s nothing better than doggie kisses in the morning, right?